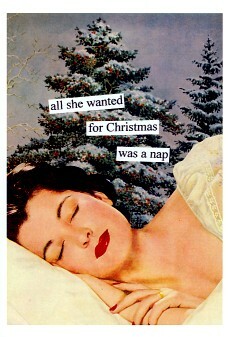 It's Christmas morning, and I have coffee in hand, and a quiet house for the moment. As I sat here thinking about what kind of a Christmas wish to put on It's Just the Coffee Talking, I found myself thinking about the Christmas Truce during WWI when troops defied orders, went from being soldiers to just men missing their families and loved ones back home and started to sing Christmas carols. Soon other troops had joined in and at the break of day, some opposing forces met to trade cigarettes and puddings and sang songs together. The phenomenon took different forms across the Western front. One account mentions a British soldier having his hair cut by his pre-war German barber; another talks of a pig-roast. Several mention impromptu kick-abouts with makeshift soccer balls. "In less than 15 minutes, my dad had his cell phone number stolen from him and had his bank account hacked into, all while he watched as his email alert him every step of the way. It appears that his T-Mobile cell phone number was used against him, ported to an account with Metro PCS, and then used to allow a thief to gain access to his online bank account." "I was on the phone with Wells Fargo as the money was being transferred," my dad Mike Zelinger said. "As I was waiting, I was receiving emails from Wells Fargo saying that this has been completed, and your transfer has been completed." What my dad is going through does not appear to be isolated. Customers have complained on Twitter and Reddit about their phone number being ported elsewhere and then used to gain access to bank accounts. "When I called Wells Fargo and I described what happened, they asked me if I was a T-Mobile customer," said Afonso Salcedo, a T-Mobile customer who complained on Twitter and spoke with Next from San Francisco. "I had two-step verification on my accounts," said Salcedo. "They actually had to send a text message with security codes to change your password, so I wasn't getting any of those messages, I only got an email alert that my password had already been changed." 10:11 a.m.: He got an email telling him that his Wells Fargo password had been changed. 10:12 a.m.: An email notified him that he was enrolled in Zelle, the service that allows you to transfer money with a phone number. 10:17 a.m.: Confirmation of a $2,500 transfer using Zelle to a person named "simon vargas." 10:36 a.m.: An email from Wells Fargo saying the company has tried to reach him by cell phone about potential fraud, but has been unable to get through. "'We have attempted to reach you by phone, but our attempts have been unsuccessful.' That's because they had already ported my number," said Zelinger. Funny thing, though, as soon as my dad received the 10:11 a.m. email about his password being changed, he picked up the phone and called Wells Fargo. "While I was waiting for people to get on, and was on hold listening to their music, I noticed I was continually getting alerts from Wells Fargo," said Zelinger. The money was transferred before he spoke with a live person. While this was going on, he was getting calls at his work from customers asking why his cell phone number wasn't working. He also called T-Mobile to find out why. "You had given your permission for us to port your number over to Metro PCS," a customer service representative told him. "It means that we closed out your phone number and sent it over to Metro PCS and it became your phone number at Metro PCS." "Metro PCS says, 'well yeah, we ported your number to something else,' Well, who did you port it to? 'We can't tell you that,'" they said to him. "Whenever I access something, the next thing that comes up is 'please answer these security questions: What was your mother's maiden name? Who was your best friend in first grade?'" T-Mobile and Metro PCS never gave him or Next an answer as to how a thief was able to transfer someone else's phone number to a different carrier. Yippee! It's the time of year when my favorite Donut Shop PEPPERMINT BARK COFFEE hits the shelves! Although I've seen spots for it at the store numerous times in the past 2 weeks it's already almost always sold out! Other people obviously know just as well as I do that this is hands down the yummiest peppermint coffee. Granted - I can't say it's the best in the world, as I've not had all the peppermint coffees. But I've had about 5 versions and this one wins. 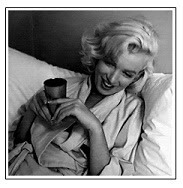 I'm not a flavored coffee kind of girl - I like my coffee hot, strong and black. Espresso would be more my style than a vanilla, pumpkin spice, chocolate anything or hazelnut... but given The Donut Shop Peppermint Bark flavored coffee and an espresso as my choices I'd probably go for this one. There is just something delicious about it! Smooth and 'creamy', not bitter, not sweet, not a dark chocolate or acidic flavor. It's like having Ghirardelli Limited Edition Peppermint Bark Squares in my coffee cup. Contains: 18 Peppermint Bark Coffee, 18 Sugar Cookie Coffee, 9 Gingerbread Cookie Coffee, 9 Chocolate Covered Cherry Hot Cocoa. Although I've owned Keurig's since 2005 and I've since switched to the iCoffee brand in the last 2 years, I recall how shocking it was to buy my first Keurig and go from spending $25 on a coffee pot to $229 (at the time) for the 'new' coffee systems known as Keurig's. 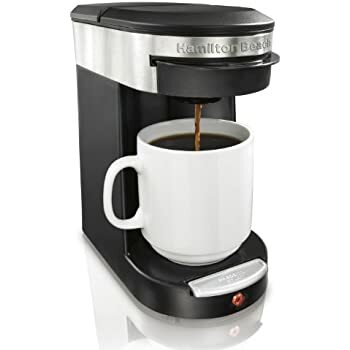 My husband about had a heart attack when I came home from the car dealership after getting maintenance done on my vehicle and told him about this 'really cool' coffee maker they had and how it was probably the best tasting coffee I've ever tasted. It was so fresh tasting and hot compared to what we were used to in our little old glass carafe style. Since 2005 the world of single serve coffee brewers has exploded - and the cost has come down! But even so, $90, $100 or $200 is still out of the budget for most people. This morning I did a quick search on Amazon to find some affiliate links to single serve brewers that were all (as of this writing) under $40. One of them is actually under $20! Similar to what you might find in a hotel - very basic - no bells and whistles, it does it's thing and serves it's purpose. But personally I like these smaller, basic versions to pack when we travel! 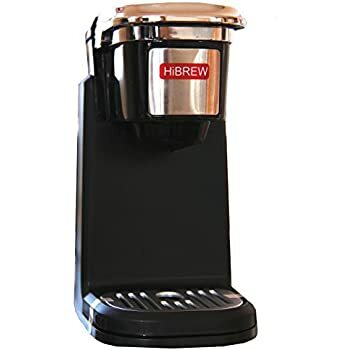 If you have a limited budget, are buying for a college student, an elderly relative, need a simple brewer to pack and travel with or are putting one in a second or third room in the house, these are all affordable coffee brewing options. 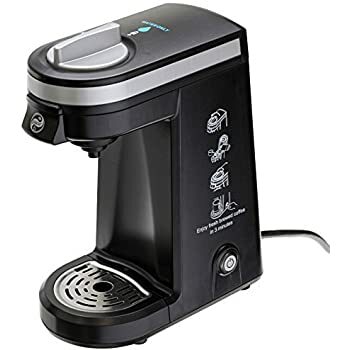 ✔ FRESH COFFEE LESS THAN 3 MINUTES - Simple one touch button design and auto shut off, It makes a cup of tasty coffee in a few minutes with just a push of a button, and the wider water tank mouth makes it more convenient to fill water and clean up. ✔ PERFECT FOR TRAVELLING - Light weight and compact design of this single serve coffee maker makes it perfect for your desk at home or work, and small enough for travelling. 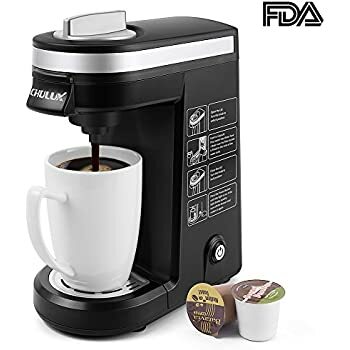 ✔ FAST SINGLE CUP COFFEE MAKER- Compatible with most single cup pods including k-cup pods, you can use the size as per your preference. It takes 3 minutes to get a cup of fresh coffee with fast brew technology. It is brewed hot enough that no need to put in the microwave. ✔ CERTIFICATION AND WARRANTY - BPA-free material for water tank and UL, ETL, certification for coffee brewer give you guarantee.